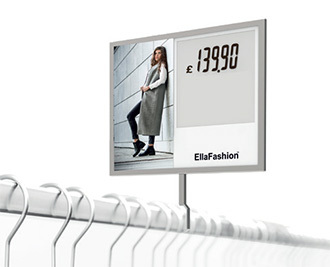 EllaFashion Shelf Labels (ESL) take the best qualities out of e-paper technology and paper-like look. The label shows product in four color print and pricing information. 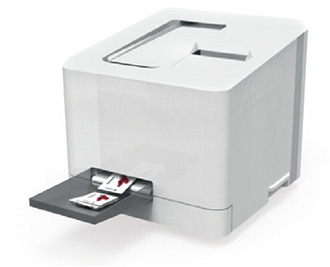 EllaPrinter prints out a product image or a logo for shelf edge labels in just 3 seconds. You can use the same product image as on the website. EllaUpdater is a device for EllaLabel handling point. 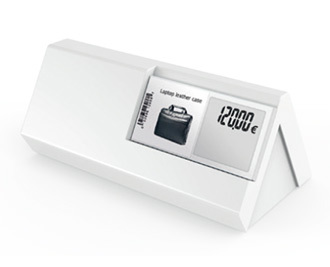 A device for adding or deleting labels and getting data from EllaController database to EllaFashion Shelf Label display. We also provide price tags for racks and table stands.